This growing season has been distinctive. Frogtown experienced a very wet end of winter, a rather dry bud break, and customary on and off rain days for most of May and the beginning of June. The Dahlonega vineyard is just beautiful. We attacked the early stages of vineyard maintenance with gusto and a determination not to get behind the time frame when certain growing stages should be addressed. Early farming, from bud break to berry cluster touching is critical to keep the vineyard relatively free from pathogens and destructive insects. So far so good. Looking for a relatively bountiful harvest. If we get some cooperation from Mother Nature, the quality of the fruit should be very good to excellent. Dahlonega had 5 probable frost conditions in March and early April. Pleased to report, we had virtually no frost damage; only being slightly affected during the 5th frost event. The winter weather pattern was cold with very little “Indian Summer” days. This resulted in the buds setting themselves for a bountiful and relatively even bud break. Yes, you read correctly, winter cold (but not too cold) is a good prelude for fruitful buds. Although Frogtown experienced rain during flowering, our fruit set is just fine. From now, throughout the growing season, shoot positioning and shoot trimming will be front and center, including eliminating (cutting off) clusters of fruit. Only a grape or fruit tree farmer will understand why we eliminate up to 30-40 percent of fruit that would otherwise be harvestable. We do this to make what is left more concentrated, riper, and flavorful. Isn’t that what we look for in fruit!!!! So, the dog days of summer are upon us in Georgia. Let’s all use our collective will power and will us a dry September and October! Hopefully this will be the last year of vineyard development for our two Paso Robles vineyards and the cessation of the costs associated with developmental infrastructure. Expecting at least 50 harvested tons from Adelaida. Geneseo was adversely affected by a late frost. Yes, Paso Robles, like Dahlonega, is susceptible to frost events. Probably lost 10 tons of fruit at Geneseo. Still expecting 30-40 tons from Geneseo’s third leaf. The maturity stage of third leaf is customarily the first time for harvesting a vineyard. If you remember, I did harvest 10 tons last year on Geneseo’s second leaf. Finishing up some 2014 wines and probably half way through bottling the 2015 red wines. There are approximately 600 cases of 2017 white wines that require bottling. Frogtown Estate wines are now slightly “ahead of the normal curve” regarding release date following bottling date. This means many of our red wines will be benefited with extended ageing in the bottle a few months longer before release. We will not bottle any red wines made in California this year. We did bottle and release our first Estate Grown California wine, our 2017 VRM (the Viognier, Marsanne, and Roussanne blend we call MRV in Dahlonega). Yes, the 2017 Frogtown VRM is distinctively California, beginning with its 16.5% alcohol and a slight bit of residual sugar. I am gratified the yeast strain Frogtown used in California was strong (super strong) and allowed the production of a 16.5% alcohol wine with such a small amount of residual sugar. Yeast “sign their own death warrant” as they consume sugar in the production of alcohol. As the percentage of alcohol raises yeast begin to get sluggish (woozy) and finally die from the alcohol the yeast produced. My guess is the yeast are relatively “happy” as to the end of their life cycle, or don’t know what is happening to them in a high alcohol wine. Without any hesitation, I knew I wanted to make Nebbiolo the focal point of these Notes. In preparation, I recently re-read what Jancis Robinson wrote about Nebbiolo. Jancis Robinson is better known in Europe than the United States. She is without doubt the most respected wine writer and wine critic of our time. I weighed heavily on Jancis Robinson’s writings in making my variety decision in planting our Dahlonega vineyard. I also derive a connection to Jancis, as she, along with Californian, Linda Murphy wrote American Wines, the authoritative book compiling information on the major wineries in each state. Awarding Frogtown a “super star” classification delighted me and Cydney. The following discussion has been taken liberally from Jancis at JancisRobinson.com. The italicized portions below are my attempt to stress and elaborate on Jancis Robinson’s narrative and to draw parallels to Nebbiolo grapes grown at Frogtown and the Nebbiolo wines made with such grapes. The heartland for growing Nebbiolo grapes is the north-western part of Italy. The growing and making wine from the Nebbiolo grape is very limited; notwithstanding the Nebbiolo grape is placed in the upper tier of premium wine grapes. Even though Nebbiolo only makes up less than 8% of all the grapes grown in this north-western part of Italy, known as the Piemonte region, this Italian viticulture area grows more Nebbiolo than anywhere else in the world. Stop a moment and think about this statement. Reflect how rather small is the world’s planting of Nebbiolo and what does the lack of growing Nebbiolo grapes outside of the Piemonte area of Italy mean to the notoriety and availability of Nebbiolo wines. Many of our Citizens have heard me talk about whether or not a grape vine has legs (distinguished from the wine “legs” clinging to the glass of wine). Legs when used as a descriptor of a grape vine is to identify whether or not (i) the particular grape vine has the ability to be planted in different part of the world and (ii) the wine made from such grape wines can be identified as characteristic of the wines generally made from the specific grape variety. Nebbiolo is an incredibly fussy variety to grow. It flowers early, ripens late, and can struggle to ripen fully. It also seems to prefer specific hillside locations and clay and silt-based soils. There is a parallel in soil development when comparing the topography surrounding Frogtown vineyard to the topography surrounding vineyards in the Italian Piemonte. The presents of significant elevation changes and abundant rainfall, produce vineyard soils composed of clay and iron from granitic schist. Even in its north-westerly region of origin, the Italian Piemonte, Nebbiolo is exceptionally finicky about where it will happily grow and ripen. With only few exceptions, on the Italian Piemonte, Nebbiolo is planted only on south or southwest facing slopes at elevations between 820 and 1500 feet. Nebbiolo needs particularly careful site selection as it is not only late-ripening but also early flowering, so there is no point in planting it anywhere that might suffer from spring frosts. Elevations of 800 to 1,500 feet is essential. There is no chance of making good wine from this late-ripening variety if it is not exposed to maximum sunshine. Only south to southwestern facing aspects provide the require degree of sunshine. Nebbiolo needs sufficient warmth to develop the sugars and fruit flavors needed to balance the grape’s naturally high acidity and tannins. Nebbiolo is one of the first varieties to bud and last variety to ripen with harvest taking place in mid to late October. Nebbiolo is especially adversely affected if wet weather is present during bud break or flowering. While rains during bud break and flowering can affect yield and quantity, rains that occur after veraison will have a detrimental effect on quality. Veraison is the final stage of ripening; when red grapes begin to turn a blueish color, and soften. The most highly rated bottles of Piedmont Nebbiolo tend to come from vintages that had dry weather during September & October. Growing Nebbiolo requires intensive precision viticulture. The vines are naturally vigorous and need extremely strict de-vigorizing attention in the vineyard if they are not to waste all their energy on sprouting leaves rather than ripening fruit. Frogtown’s Open-Lyre quadrilateral trellis system (that is the U or V shape you see when looking down a row of vines planted at Frogtown, which forms two vertically trained and separate trellis portions to which support vine shoots and clusters. The Open lyre trellis is very effective in managing the vigor of our Nebbiolo (and our other) vines. Additionally, Most of Frogtown’s Nebbiolo is grown on a small area of the vineyard in very poor (not fertile) granitic sandy mica gneiss and schist soils. While the foregoing is especially true for Nebbiolo, our experience at Frogtown is the same for a number of our other varietals, i.e. early season rains adversely affect bud break, fruit set and late season rains in September and October cause quality issues. Frogtown grows its Nebbiolo at approximately 1600 feet on southerly to southwesterly facing slopes. The scarcity of Nebbiolo cultivation, and the corresponding limited supply of good Nebbiolo wine is the reason why most wine drinkers have never or only limitedly experienced tasting Nebbiolo wines. Even if a person is offered the opportunity to select a premium quality Nebbiolo wine, many would not take advantage of such opportunity. Most famously, Nebbiolo is the grape that goes into Barolo and Barbaresco wines, two of the world’s most revered (and more expensive) wines. If you have ever bought a Barolo or Barbaresco in a wine shop or in a restaurant, you can attest to the expense of good Nebbiolo wines. What does Nebbiolo, at its best, taste like? Perhaps the most wonderful thing about Nebbiolo is its perfume. The wine is typically intensely aromatic, developing the most extraordinarily haunting bouquet in which, roses, autumn undergrowth, violets and tar can often be found more extensively than any other wine made from a different red grape variety. On the palate, the wine is typically high in acidity and tannic. Despite its tannic structure, the wine’s fruity flavors of cherry and raspberries, always seem to shine through. Nebbiolo is known for producing powerful, and mercilessly tannic wines while sometimes looking as pale as Pinot Noir. Nebbiolo is considered to be a “terroir-expressive” variety. This means that Nebbiolo wines exhibit more of the earth, soil, and climate characteristics of a specific viticulture area versus other wines made from different grapes. One of the neat “things” about Frogtown’s Nebbiolo is the fact that the aroma, and taste of our Nebbiolo IS reminiscent of the Italian home grown Nebbiolo. Today’s winemaking offers a number of fermentation products and protocols that assist in extracting and stabilizing the wine color and managing tannins. These products and protocols are particularly helpful in making Nebbiolo wines. Nebbiolo grapes lack stable anthocyanins (water-soluble pigments) resulting in many Nebbiolo wines lacking the appearance of rich deep colors. Additionally, the relatively high acidity in Nebbiolo wines makes the management of the high tannin level in Nebbiolo wines critically important. Since my first year of making wine, I have experimented with ways to stabilize the color of Frogtown wines and create the smooth, pleasurable and supple mouthfeel we all expect in a Frogtown wine. Such winemaking protocols and fermentation aids have greatly assisted in the production of the 2014 Frogtown Reserve Nebbiolo. So, we can say with confidence Frogtown vineyard grows significant Nebbiolo grapes and Frogtown’s winemaking practices aid favorably in the making of Nebbiolo wines. After spending a considerable time with the 100% varietal version of the 2014 Nebbiolo, I decided to blend a relatively small amount of 2014 Cabernet Sauvignon wine into the final version The Reserve Nebbiolo. The 100% Nebbiolo was lighter and had traces of the brownish-orange meniscus color Nebbiolo can exhibit in the glass. The small percentage turned out to be 10%. I really liked the color affect the Cabernet Sauvignon had on the 2014 Reserve Nebbiolo; it added an additional color element to the stabilize color of our 2014 Nebbiolo wine (after 3 years in barrel). I also liked what the Cabernet Sauvignon added to the mouthfeel of the Nebbiolo. This release of our fist varietal Nebbiolo spent three years in oak imparting excellent oak integration. The traditional raspberry and cherry flavor of a Nebbiolo wine, and especially the violet aroma of Nebbiolo are very noticeable in this wine. Is this a young wine that will improve with additional bottle age? Yes. No different than most Frogtown red wines on release. It is very enjoyable now, after only 5 months of bottle age. Enjoy a bottle of the 2014 Reserve Nebbiolo now and lay a bottle down for aging. When you open a bottle of this Reserve Nebbiolo, do so at a special time. It is a wine that should be savored rather than just drunk at any time or place.  I did give you some hint of the 2017 Frogtown VRM when I stated above, the 2017 Frogtown VRM is distinctively California, beginning with its 16.5% alcohol and a slight bit of residual sugar. The 2017 growing season in Paso Robles was affected by a number of days when temperatures exceeded 105 degrees F. Like 112-114 degrees. Considerably hot. All over Paso Robles, grapes shriveled on the vine and became very dehydrated. The Marsanne, Roussanne, and Viognier grapes at Geneseo were not an exception. At harvest, these grapes showed the effect of this weather pattern. The result was a high alcohol wine. But looking beyond the alcohol, the 2017 Frogtown VRM is distinctive in the “somewhat” over the top flavors and heavy character of this wine. To say big, is not big enough. Better described as huge. Huge in flavor, huge in intensity, huge mouthfeel. But additionally, to identify this wine only as “huge” is not a complete description. As large as this wine is in the mouth, it still has a remarkable integration of oak and acidity. The acidity in particular enables this wine to be enjoyed with food. I would suggest a very flavorful grilled fish or a mild creamy cheese. Will Frogtown produce a 16.5% alcohol wine again? Am I proud of this wine? Yes, to both questions. A number of winemakers in Paso have tasted this wine and commented on its distinctiveness and quality. An interesting tasting experience would be tasting a bottle of the 2015 Frogtown MRV at the same time as tasting a bottle of this 2017 Frogtown VRM. We are releasing our 2014 Frogtown Penchant. This is the second bottling of a Super Tuscan blend of Sangiovese and Merlot. Penchant was established as a Frogtown red blend in response to requests by Citizens for a red wine that is less full-bodied. My response then and now is Penchant. A red wine that can be characterized as the “lightest” of all Frogtown red blends; closer to a varietal Sangiovese with the added complexity of adding Merlot. I find the 2014 Penchant a little less full-bodied than the 2011; possessing noticeable oak integration and complexity with a relative fruity beginning palate and classic smooth mouthfeel. What is lovely in this wine is the finish. It is long but lighter and more refreshing than any other Frogtown red wine blend. You have light red fruit typical of cherry and some strawberry, close to our varietal Sangiovese with more depth. This wine would be lovely with a filet mignon steak cooked rare to medium rare. Frogtown released the following white wines from our Dahlonega Plateau vineyard to our White Wine Club Citizens in this May 2018 Shipment: 2015 Frogtown Marsanne, 2015 Frogtown Inclination and 2015 Frogtown Viognier. The Red wines released from the Dahlonega Plateau vineyard to our Red Wine Club Citizens are 2014 Frogtown Reserve Nebbiolo, 2014 Frogtown Penchant, and Frogtown Applause, Third Standing Ovation. Our mixed Red and White Georgia Estate Wine Club Citizens received a bottle of 2015 Marsanne in place of the Applause, TSO. Frogtown released the above indicated Estate Georgia wines, dependent on the Wine Club classification of each Extended Member. Additionally, the California Red wines released to our Extended Cub Members are the 2012 West Coast, East Cost Convergence, the 2014 West Coast, East Coast Convergence, and the 2014 West Coast, East Coast Coax; with the mixed white and red extended Wine Club Members receiving the 2017 Frogtown VRM in place of the 2102 West Coast, East Coast Convergence.